Last week I wrote about what this year's Schneider Family Book Award winners meant to me. Today I celebrate the work I did with my students around this award this year. While our school was busy with many Mock celebrations - Newbery, Caldecott and Geisel - I wanted to introduce my 4th grade reading students to the Schneider Award. We've been doing some work around tracking out thinking and writing longer about an important thought. We started with modeling. I wanted to make sure they all heard Laurie Ann Thompson's Emmanuel's Dream, which I already had fingers and toes crossed would win the 2016 award! Using post-it notes, we worked together as a group making notes of our thinking. Some were questions, some were thoughts, some were quotes we liked. After we were done and just talked about the book, we went back through the post-its. We made piles - thoughts that were interesting but we didn't need to dig deeper into, thoughts we wanted to talk about more, and questions. While questions are often something to explore more, today was not the day we were going to do that. Today, we really wanted to dig deeper into those thoughts that made us think. After looking through them, we picked one to write longer about. Instead of writing in our notebooks, we went a different route. This time, we used padlet as our writing medium! We wrote about the disability, what we noticed from the text and then added our thinking around what the text said. We've been doing this work for awhile using other texts, so I knew students were ready to do this individually. 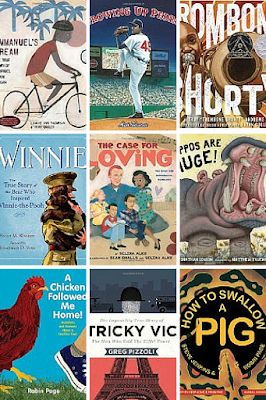 I had pulled from different libraries the Schneider picture book winners from the past years. Students picked out books to read, got post-its and pencils and got to work. While students read and added thoughts, I conferenced with students. I took note of their thinking, were they just picking random thoughts, were they making deeper connections with the story, did they find important events to note, were they only asking questions. After students read, they went through their post-it notes and put them into piles. Sometimes they could pick what they wanted to write about, sometimes they needed to go back and add to their thinking. Once they were ready, they got iPads and wrote longer on the padlet. I loved seeing students put their thinking together with what they read at the end of each post. Most of them did a nice job drawing conclusions and adding their thinking to what was said in the book. I really enjoyed seeing the work students did around these books. And I was happy to expose them to a whole other set of #weneeddiversebooks literature. 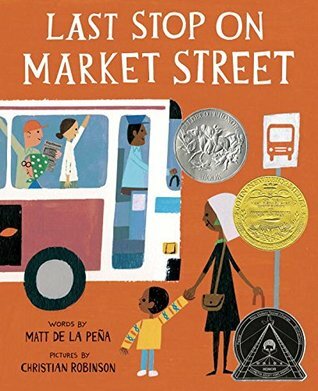 I've had numerous blogger friends tell me I need to read Matt de la Pena books. Because they are YA, I haven't rushed to read them. Since I teach in a K-4 building, I get to YA only every so often. Then I remember it was November 2014, my first NCTE, and I looked over and found Matt signing copies of his upcoming picture book. I didn't have time to get in his line, but I put it in the back of my mind to get to once it came out. When it came out, I got it from the library. I remember thinking the writing really stood out to me. And then I read it again and I remember thinking how much the illustrations added to the setting and feeling of the book. Now, almost a year later, and we're talking about the book again. Notice the subtle things de la Pena and Robinson did to emphasize the setting - the contrast from the beginning of the book to the end, the urban setting of the bus, the changes in perspective because of the setting. Use the setting to gather clues about where CJ and Nana are going. Nana talks about having a bus that "breathes fire". What do you think she meant by that? Was it the picture on the side of the bus, or the smoke that comes from the exhaust? Look at the language de la Pena uses - "outside air smelled like freedom", "drinking through a straw", "sunset colors swirling over crashing waves". How does that enhance the story? A good part of the story takes place on the bus. Look at the cast of characters. What do they teach CJ? What is their purpose? When CJ takes Nana'a advice and looks around, how does his perspective change? Once you get to the end, go back to Nana's comment about seeing the beautiful. How did CJ do that? How can you do that? Play "Be the Committee". Talk about what the possible conversations that occurred around this book at the Newbery, Caldecott and Coretta Scott King Illustrator Award committees. Read just the words of the book, without looking at the illustrations. What are some of the lines that stuck out to you? I love the conversations that happen with students and this book. I hope you can use some of these points when you read this book with students again! Walk a mile in someone else's shoes. It's in the eye of the beholder. What both of these expressions come down to is it's hard to see things, see an idea, from someone else's perspective. Now imagine trying to see life from a perspective that is not human... Like from a dog's perspective. Authors have written from a dog's perspective before. Often times the dog ends up taking on more human qualities than canine. Not the case in Victoria Coe's debut novel, Fenway and Hattie. The book is told not only through the dog, Fenway's, voice, but also through his eyes. We see the world as a dog sees the world. The mom in the book is "Food Lady" - I guess we know who typically feeds Fenway! He has a terrible time walking on, what we assume is hardwood floors, and Fenway refers to it as the Wicked Floor. Throughout the book, the reader is left to infer what Fenway is talking about, as he describes things in a way a dog would see it. This keeps the authenticity of the voice that Coe crafts for her main character. Young readers will appreciate Fenway's conflict - his desire to play and have fun is in direct conflict with his owner teaching him to behave and follow commands. As I read, I would alternatively laugh at his antics, or my heart would bleed for this dog who was clearly not understanding what his owner desperately wanted him to do. What child doesn't understand the desire to play when an adult wants them to do something quite different? Sometimes there is a gap in middle grade books. They vary between being too young, to having content that is just a bit too mature. Fenway and Hattie helps fill this gap. The content is perfect for its designed readers - grades 3-6 - and the book provides opportunities for teachers to use it as a mentor text to teach inferring and perspective. 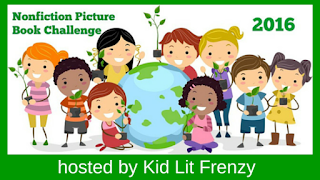 Share the book trailer with students! 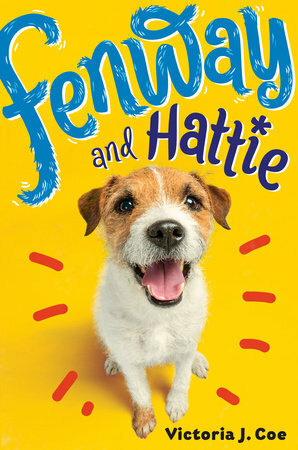 Be sure to pick up a copy of Fenway and Hattie on February 9th! The Sibert Award.... it's an award that I've paid attention to more and more because of the significant uses of it for the classroom and library. I'm always looking for quality nonfiction. To use as mentor texts. To use to teach, wonder and inspire. 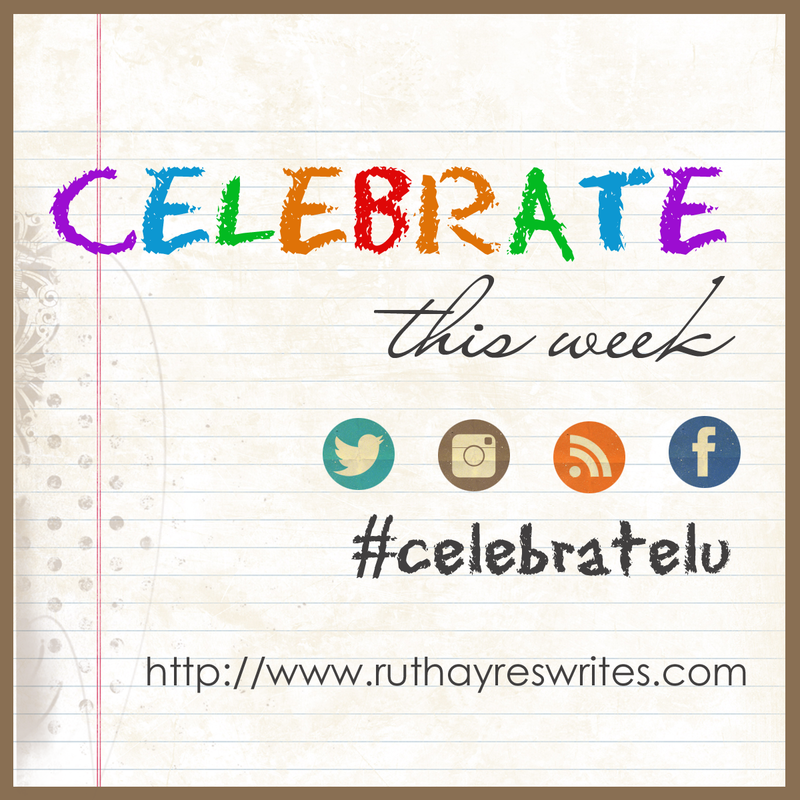 For the past 3 years, Kellee at Unleashing Readers, Alyson at KidLitFrenzy and Carrie at There Is A Book For That have hosted or participated in a Mock Sibert. I've loved reading their posts and formulating my own guesses. This year I'll be joining them! If you want to take a glance at their posts, here they are! Recently, Kellee asked a few of us if we were interested in starting a Mock Sibert group on Goodreads. 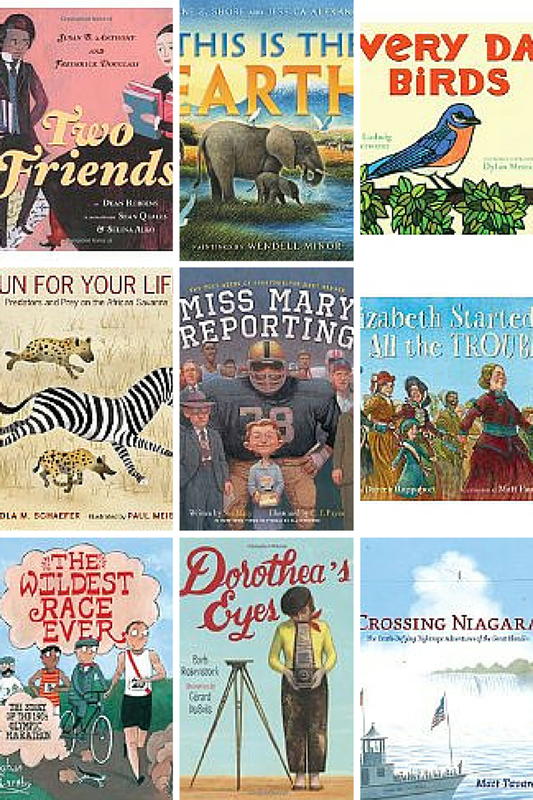 I always check the Goodreads Mock Newbery and Mock Caldecott groups to help me form my Mock lists. Wouldn't it be wonderful to have a Mock Sibert group? Maybe the award won't be such a dark horse for me - maybe I'll be able to predict a few more books this year! And above all, it will help me have conversations with other educators and librarians about nonfiction and help me find even more great literature to share! Our plan for the group is for group members to start discussions about any nonfiction books that they feel are 2017 Sibert Award contenders. 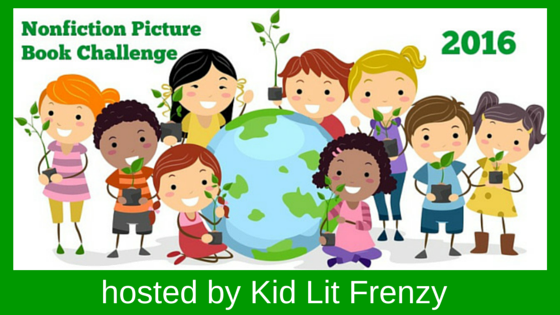 Then within those discussion boards, we will discuss the books we each “nominate.” At the end of December, we will vote for the books we feel need to be looked at again. We'll then have a FINALISTS discussion board where we look closer at each of the books with an eye specifically towards the Sibert criteria. Following our discussions, we will vote for what we believe will be the finalists. We'll then have a WINNER discussion board where we look again at the books we voted as finalists and discuss who we think will win. About a week before the 2017 ALA Media Awards, with enough time to blog about our winner and finalists if participants would like, we'll vote for the winner. 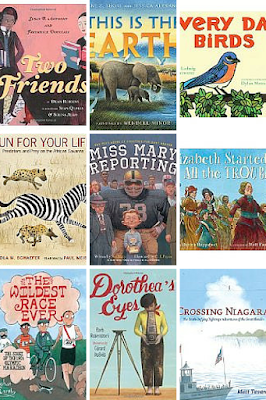 Come join us on Goodreads at the Mock Sibert Book Club! First, go to GROUPS at the top of the Goodreads home page. You can search for the book club in the search bar at the top of the groups page. Please make sure to answer our new member’s question, and we will approve you to jump into our conversation! Hope you will come join us! What 2016 books are you excited to read this year? What books should we discuss in our Mock Sibert Goodreads group? Hope to see you in the conversation! An ALA YMA book award that I hold close to my heart is the Schneider Award. Here's why. I hope you read these books and think of the students they touch! 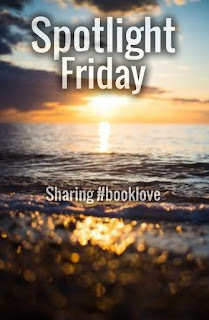 Spotlight Friday had me showcasing some new Groundhog's Day books. Be sure to read them - they have more than one purpose! Books are for everyone! And Gordon Korman's newest book will capture everyone's attention! It's a photograph, it's a drawing! You must look at this gorgeously illustrated book filled with amazing facts about creatures that we are in danger of losing. 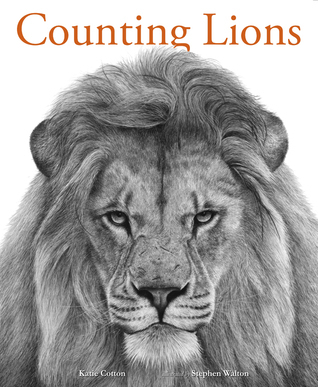 "Counting Lions" is a must read book! "Because that's how it's always been done." "Then we'll just change how it's done." There's much to learn from these two worms! It seems they are smarter than a lot of people. I appreciate the dreamers in life. I am glad that there are people who don't listen to others who say it can't be done. You're just a dreamer. If everyone listened to that, we would not have found my child's doctor. The one that has given her hope that one day both of her legs will be even. That she will stand, with both feet equally reaching the ground. Even though other doctors say this doctor couldn't do it, he's a dreamer, but he can. Peddles the pig is like that. He has big dreams, that look maybe a bit different. Cute story. I could do without the pig poop. Didn't add much to the story. Loved the theme, good one to share with young dreamers. First off, I am not a wilderness girl. Survival stories are good, but they are not my favorite. Living off the land is something I would be terrible at. I did not grow up with pets. It's not that I dislike them, I just never had them and my current home situation makes it not possible. I do not gravitate towards animal stories. There are some I fall in love with, but many are just ok. This book took my breath away. It's good. It's really good. The story takes place in Russia, when it was a statement to own wolves. This is the story of Feo. She is a wolf wilder, whose job it is to reteach domesticated wolves to be animal predators, and how to survive back in the wild. However, this does not make the tsar happy as the newly wild wolves end up eating the livestock of his people, the people who give the livestock to him. Feo and her mother are targeted for wilding these animals and Feo's mother is arrested. This is the story of how Feo learns to trust people and the animals that love her in order to get her mother back. I loved the character of Feo. She is so strong, her heart is so brave and true. I love her understanding of what is right and wrong. I love her ability to trust and befriend. I loved the relationship of the wolves and the people. The raw quality of it. I wonder how students will respond to this story. I think it's best for 5th grade up, which my school does not have. I'd love to hear if anyone has had students read it and what they thought! I had to switch around some of my reading because I have a good number of books friends have sent me to read. I want to get them done so I can continue to pass them on their way to other readers. I also have a stack of February and March releases I would love to get to. Not to mention all of the books that I already own that I want to read and the books that I've preordered that have come in that I want to read... you know how it goes! This week I am celebrating what this year's Schneider Family Award winners mean to me. I enjoy finding out which books win the Schneider Family Award each year. The award is newer, there probably aren't too many students holding Mock awards for this one, but it's one I hold close to my heart. This year was very special. One of the winners, Fish In A Tree, made me very excited. The story is a special one. When I first heard Lynda Mullaly Hunt talk about Ally and her story, it was one of those moments where the rest of the room just goes away and you only pay attention to who is talking. To listen to Lynda tell Ally's story is special because it reaches your core. It's a personal story for Lynda, and you know she is absolutely speaking from her heart when she tells it. I've had the pleasure of being in Lynda's company several times this past year and I'm so happy to see Lynda and Ally get the recognition they deserve. 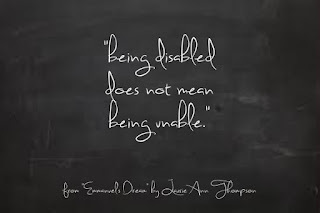 Now, as many of you know, my daughter has a physical disability. She has a limb length discrepancy which has her currently wearing a six inch shoe lift. She will be undergoing her next limb lengthening surgery this summer, which will get her about 4 inches of new bone growth. She has a fused ankle and no hip, as well. The ankle is a permanent situation but one day she'll have a hip made for her. As difficult the situation, it is a part of her life, but it is not her life. She leads the life of a regular tween. She drives her parents nuts. She loves to be with her friends. She has her own passions and hobbies. Which is why the next two 2016 Schneider Award winners meant a lot to me. I was also thrilled to see Kimberly Brubaker Bradley win a Schneider for The War That Saved My Life. Ada's story was fantastically written and bits and pieces of her story hit home. Not because they were similar, but so completely opposite. The passion the story brought out in me and my daughter - how could she be treated like that? How could the mom be so awful? How could you mistake a physical disability with a cognitive impairment? Wonderful conversations I had with students and my own child around this book. Because of the life my daughter lives, the thought of being isolated and not allowed to do things does not make sense to her. But it was also interesting to her to see Ada work so hard to do some things - the perseverance was a good lesson. And she agreed that I'm not like the mom in the story at all, phew! But the book that caused me to jump up and down with joy when I heard it announced was Emmanuel's Dream by Laurie Ann Thompson, illustrated by Sean Qualls. When I read the book last January, I immediately shared it with my daughter. We read it together and talked about what it meant, how she saw herself in the book. 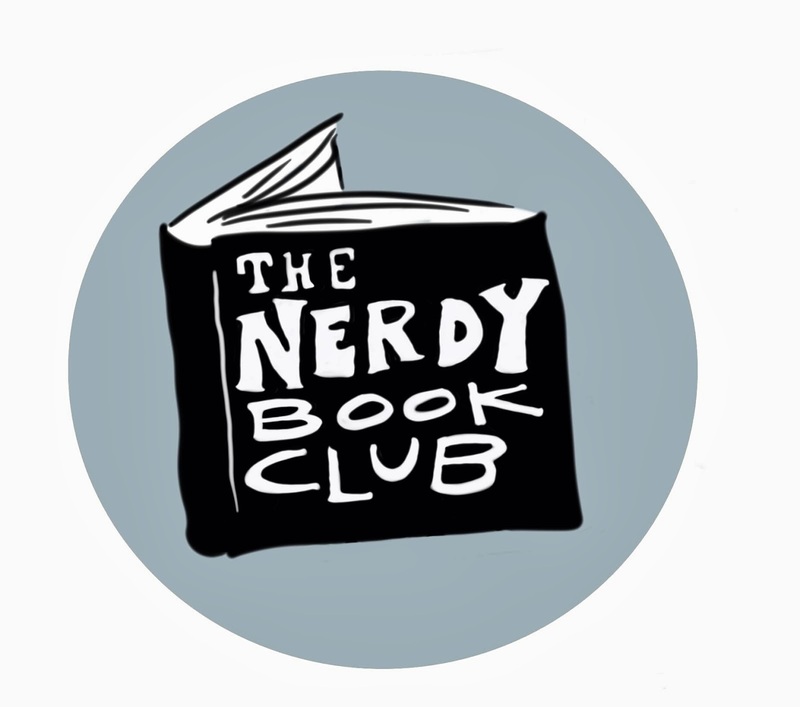 In fact we co-wrote the Nerdy Book Club post about the book. It was the first time my daughter expressed how she felt about having a disability - how she knows people look at her but she would rise above it. 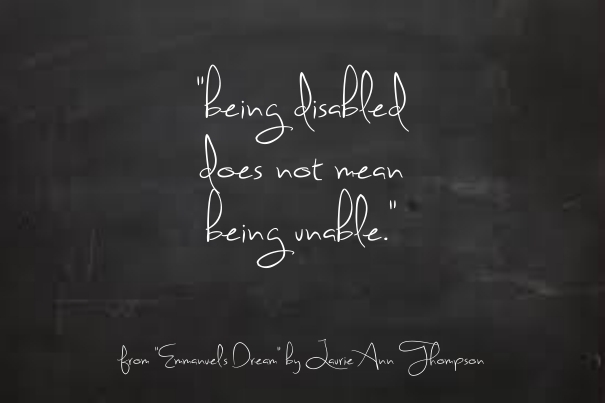 The words in the book, "being disabled does not mean being unable" are words that I feel she exemplifies. She lives this motto day in and day out. I will always hold this book close to my heart. 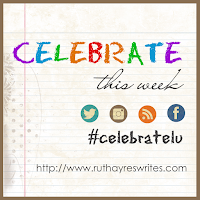 And just a quick celebration I have to mention in light of this post and what it means to us. My daughter, who has a definite disability, just made a state cut for Wisconsin swimming this past weekend. She will participate in the Wisconsin state 12 and under short course championships this February. Many able bodied swimmers don't get a state cut. It's an awesome accomplishment. If you want to know more about Emmanuel Ofosu Yeboah and his foundation, Emmanuel's Dream, click here. To learn more about the Schneider Family Award, click here. Thanks for celebrating this awesome award with us! We're heading towards the end of January which means Groundhog's Day isn't too far away! Here are some newly published books that celebrate the day, and add some more thinking your way! Have you ever had to make a decision knowing that it would end up pleasing some people yet leave other people upset and disappointed? Imagine poor Groundhog every February 2nd, some of his animal friends want winter to stay while others are counting the days to spring. 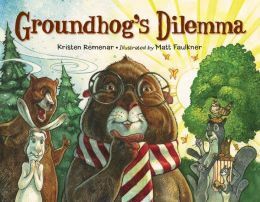 Usually when we have discussions about Groundhog's Day, it's our predictions about if the Groundhog will see his shadow or not. I love this book because it brings up a new discussion point - making tough choices/decisions. I think kids will have great conversations as a result! 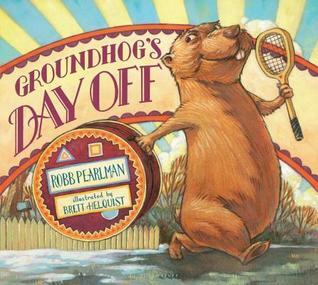 A little bit more silly Groundhog's Day story, but young readers will enjoy the book. Poor Groundhog feels used and abused as he is only asked one question every year. He's never asked about how he really feels, including, "do you like mushrooms on your pizza?" and "who does your fur?" (my favorite). He goes off on vacation which leaves the town needing to find a replacement. Of course, they realize that Groundhog is who they need. A good possible conversation would be to talk about what could Groundhog do to express his feelings? Kids so often need help understanding how to have conversations about tricky subjects and this book lends itself to that. Enjoy these books and the conversations you have with students! Every once in awhile you come across a book that makes it so easy to hand off to kids. 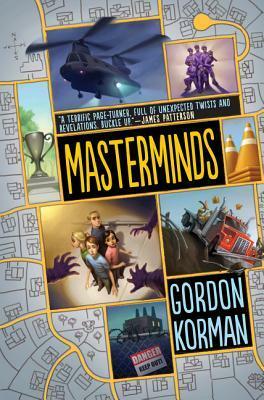 Masterminds by Gordon Korman is that book. This book has so many elements that appeal to readers - suspense, mystery, friendships, adventure and best of all, evil parents. It has wonky technology and hidden secrets. It has themes of perfection and questions what is ok. When I first heard about Masterminds, it sounded like a fun book. Just by reading the excerpt, I had a good feeling about it. Once I purchased it, I quickly lost it to my then 9 year-old. She gobbled it up and then happily book talked it to my Voxer friends. We know the power of peers book talking, it works when our students tell us books to read, too. By the time I read it, it was close to summer vacation and I was telling everyone to add it to their summer reading lists. But what made me so excited about this book was to learn it would be part of a series. This book picked up right where the first one left off. I always get nervous when there is time between books in a series because I often forget what happened and then throughout the first part of the book I am confused. Not in this one. It doesn't spend much time backtracking or filling in the details. but there's enough to help the reader understand and be able to move on. And move on quickly, you do! The action picks up immediately and there is not much of a lull in the story line. Of course there is a cliffhanger at the end of this book to set us up for book 3, the final book in what I learned is a trilogy, which will be published in February 2017. Ok, I'm going to stop here because I'm pretty sure I've covered most readers. Why? Because books are for everyone. Oh my, this book is simply gorgeous. Don't be fooled, you're not looking at a photograph, but beautiful illustrations by Stephen Walton. The detail is amazing. This book has gorgeous, lyrical language. Cotton introduces us to 10 different African animals. Each one is facing endangerment, some more than others. The back matter gives us information about each animal - additional details, but also what is happening them to put them on the endangerment list. There is also a forward by Virginia McKenna, introducing us to these spectacular animals while calling into question why these animals are now being forced onto protected species lists. The writing is so gorgeous, but embedded in the lyrical language are facts about each animal. What do students learn? This book is ultimately a book about how African animals are being threatened by multiple causes. What do you learn in the text? What do you learn in the additional information about the end? This book is organized as a counting book. How does the organization of it impact the message of the book? What started out as a book from the library, became a book purchased for use with students. Be sure to find a copy of this book! 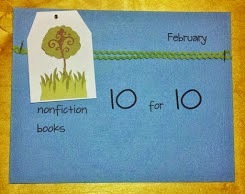 Doing a mini lesson on narrative texts in nonfiction? 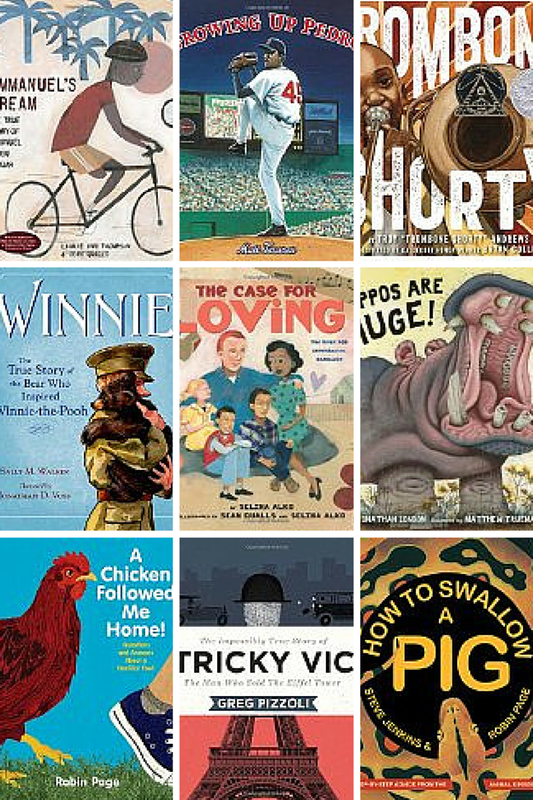 Need a mentor text list? Here you go! Have you heard of Sara Pennypacker's upcoming book Pax? It's one you want to put on your radar. Here's a small teaser. Oh how I love to find books to use for inferring. 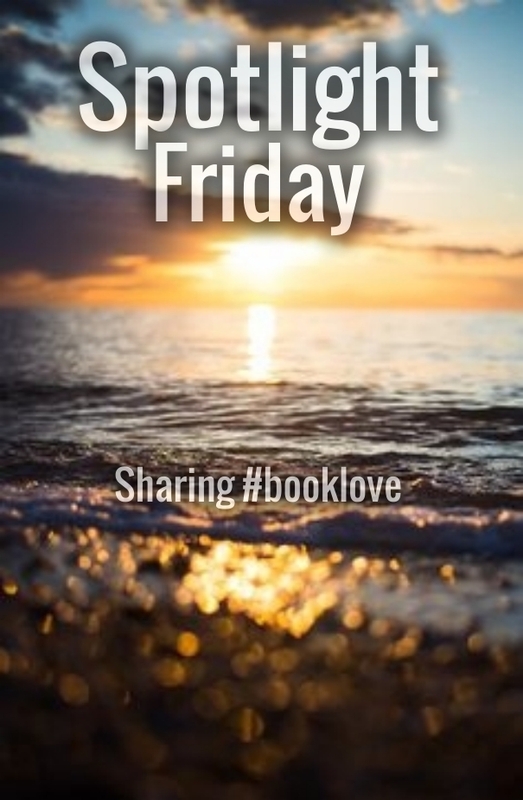 Spotlight Friday featured this great book. It was a wonderful Mock season. I celebrated our Mock Newbery, Caldecott and Geisel here. Darn you Geisel Award!!! Just once I would like to have guessed the potential winner and have had it included in our Mock Geisel discussion. This was a cute story about the little guy winning and making a difference. Great to hand off to young readers who are ready to try reading on their own with a bit of controlled text. I love these new Freckleface Strawberry easy readers. Freckleface Strawberry has a loose tooth but she must lose it at school, no where else. Why? To get the special tooth holder necklace, of course! Another Geisel dark horse not on my list. Fun read, clever rhymes, fun for young readers. Lola is a fun character. I like that she is strong in a sport, but struggles in other areas. Young readers like her. Oh I loved this book. When I saw Ricki give this book a ton of love, I went straight to my library app and put it on hold! Parker Grant is a character that will stick with me for awhile. She is blind as a result of a horrible accident. As a result, she has set up rules that must be followed. These rules protect her and keep her safe. While some people might view the rules as being harsh or see her as being tough to like, I thought they made her more interesting. People with a handicap grow up with different sensitivities, they sometimes view things or approach things differently. I loved how Parker knew what she needed to keep herself feeling safe and she set those limitations in place. She was so real to me and her feelings so raw. Amazing book from a debut author. Wow. Loved this book. In fact it has it's own post coming up next week! Stay tuned! Loved the new movie so I'm interested in reading more about some of the new characters! What are you reading over this long weekend?